The Liberals insisted it would be bad for Ontario to go without a watchdog, but refused to back down and extend Andre Marin's appointment. 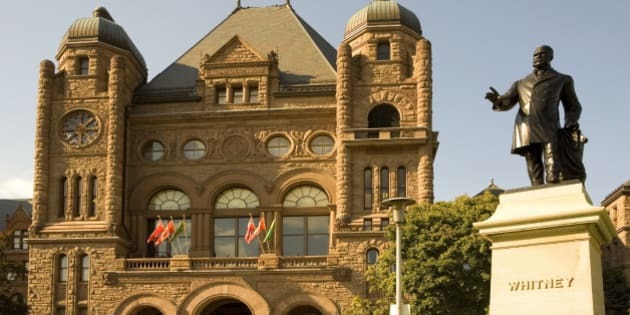 TORONTO — Ontario will not have a provincial ombudsman as of 12:01 a.m. Tuesday because the three political parties can't agree on an appointment. Ombudsman Andre Marin is seeking a third, five-year term, but the Liberal government refused to allow him to stay in the position any longer while an all-party committee looks for a potential replacement. A Liberal motion to appoint Marin's deputy, Barbara Finlay, as acting ombudsman until the committee can agree on a replacement was defeated Monday, as was an NDP motion to temporarily extend Marin's term. The Progressive Conservatives called it a "sad, sad state of affairs" that the Liberals and New Democrats couldn't agree on a temporary ombudsman. The Liberals insisted it would be bad for Ontario to go without a government watchdog, but refused to back down and extend Marin's appointment for another few months. Marin held a news conference Monday to complain the government was treating him unfairly, insisting it was unprecedented for an officer of the legislature not to be allowed to stay while reapplying for the job. "It now appears the whole process was shambolic," he said. "The integrity of the process was compromised by crass politics as the government said they were interested in any candidate but Marin," he said.